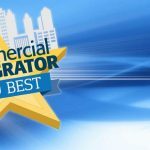 Find out how your products or services stack up against the competition and gain invaluable publicity, including being recognized at an awards ceremony at InfoComm, being promoted to your target market and more! 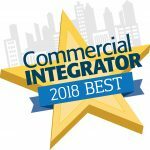 The Commercial Integrator 2018 BEST Awards program recognizes the best AV products and solutions for integration businesses. Xantech won a 2017 CI BEST Award for its high-speed EX Series HDMI Cable with X-GRIP Technology — here’s what separated it from others in its category. 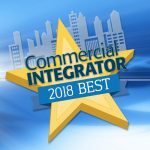 D-Tool’s System Integrator (SI 2017) project solution allows integrators to closely monitor their business with a simplified, top-down overview. The ClickShare CSE-800 from Barco provides a direct connection with legacy equipment while simplifying integration with conferencing. Epson’s BrightLink 710Ui laser interactive display offers integrators flexible sizing, an array of viewing angles, and easy maintenance. 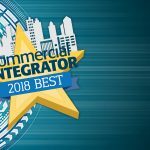 Commercial Integrator’s BEST InfoComm 2017 Awards program recognizes the most noteworthy products and solutions for an integration business.